A Printed Folder is important because no matter what marketing pieces a customer has in their “marketing/sales arsenal,” they always need some way to put brochures, quotes, letters and other loose items together neatly. 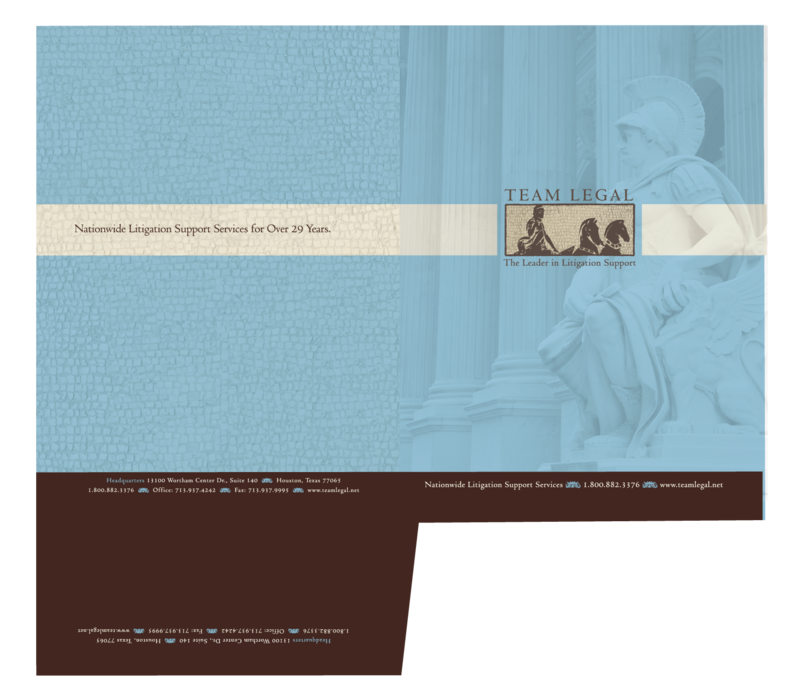 Sample: Please see samples above showing two of our folders that we designed recently (the Team Legal folder – shown flat instead of folded and the WellCall Folder shown with some of their other branded items – both items display the new branding for these companies that was developed and thought out based on all the marketing strategy factors that apply to each of these companies individually.) 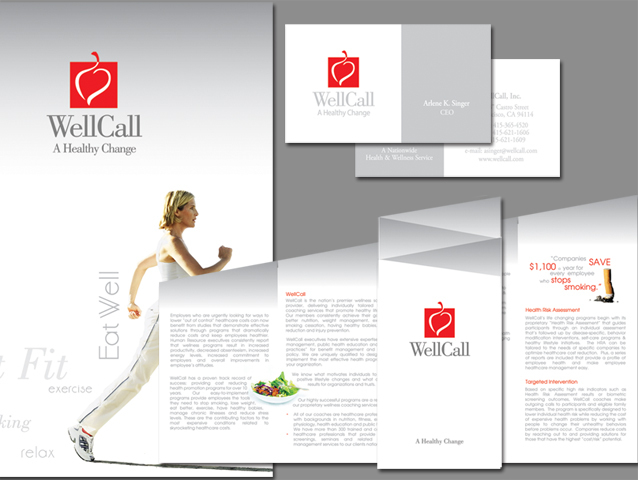 (the WellCall folder is on left with picture of walking lady). Strategy: This item will integrate each client’s new branding into it (so that it goes with all their other items including letterhead, flyers, brochures and website). 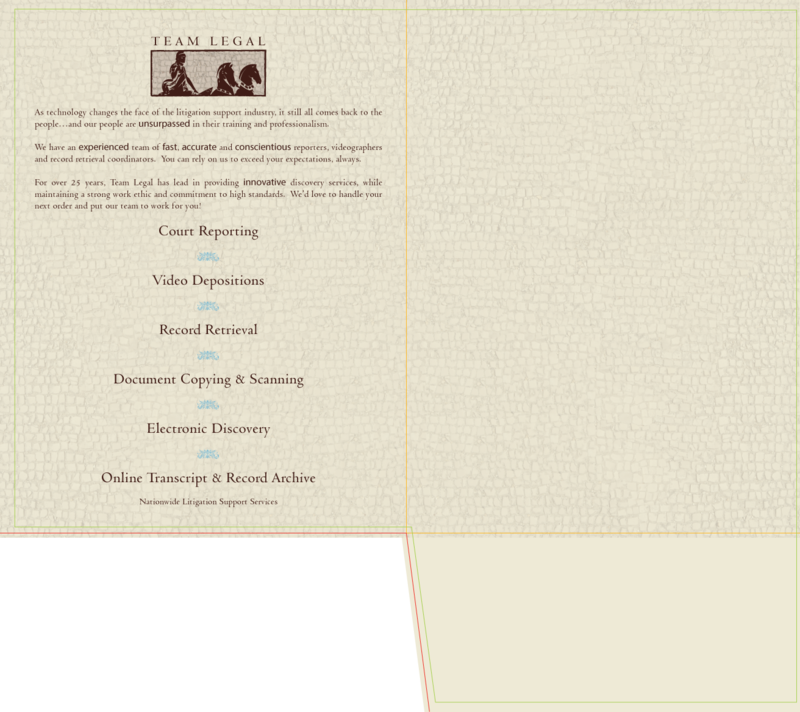 Note: the cost to do a job like this will vary depending on if we are doing layouts [text and graphics] on just the outside of the folder or on the inside as well.